January has come and gone- but that doesn’t mean we can’t look back at it fondly! Unfortunately, Groundhog Day did not give me the results I was hoping for (6 more weeks of winter…woo…), which means even more bundling up for those of us who are starting to get fed up with the cold. For that reason, I tried to find some fresh winter outfits to inspire those of you stuck in the rain or snow- but for those of you basking in the sweet rays of sunshine, don’t fret, I’ve also found some fresh and fun looks for you as well! Interested? Scroll on down to see what everyone else in the world is wearing on the streets. This girl totally reminds me of a modern day 60’s model! (Twiggy and Brigitte Bardot much?) I love her expression. Even better, she pulls off her look effortlessly while still looking very stylish. 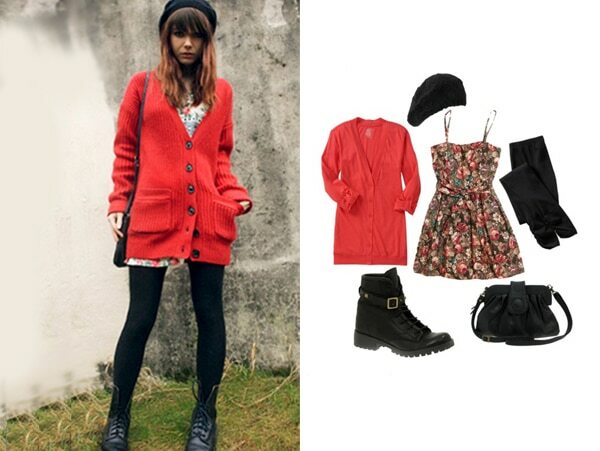 To rock a similar outfit yourself, simply find a cute floral tunic, pair it with some black tights and boots, top it off with a beret, and throw on a cute cardigan of your liking. I can’t guarantee you will look like a Mod girl, but I can guarantee you will look cute! Teehee, I love this outfit – every time I see it I get a smile on my face. And who wouldn’t? Just look at the cute yellow socks! 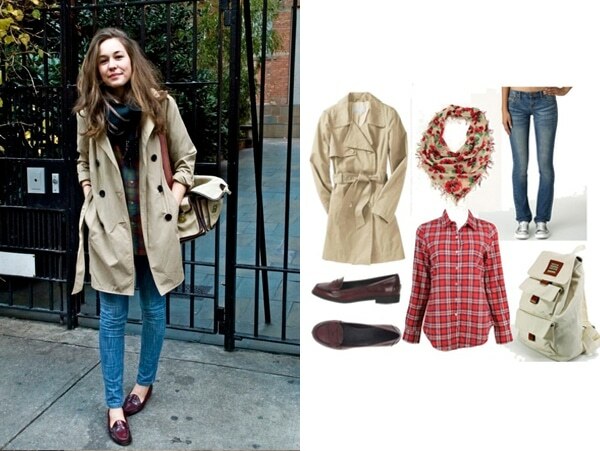 This look is super effortless but still very well thought-out. Just pair a nice tailored flannel with some cute black shorts and you’re halfway there. Put on a nice watch with a big face, pull on some cute yellow socks and slip them into some loafers, and you can look just as cute as our friend in the plaid. If you are not daring enough to wear the yellow socks, wear white ones- but make sure they go past the ankle; they’re cuter like that! And if the weather is too cold for you to go barelegged, try wearing a pair of colored tights; they’ll give the same look that those yellow socks do- and they’ll keep your legs toasty! I don’t know why, but every time I see this outfit, I think of the band Vampire Weekend. Maybe it’s because this outfit is similar to the way they dress, or maybe it’s her adorable academic-chic bookbag- whatever it is, she looks very studious yet stylish. To get a similar look, find a flannel in the color of your choice (I recommend green or red), throw a scarf over that, put on a pair of washed out skinnies, and then slip your feet into some loafers. And if you are still battling that darn winter wind, finish your outfit off with this sweet trench coat from Old Navy. And to carry all your books to class, use this bookbag (sooo cute!) from Yesstyle. Wear this, and I guarantee that the guy from your Poli Sci class will ask to be study buddies – can’t say no to that! This girl is so cute, and seriously talented when it comes to dressing herself. She has at LEAST 4 different trendy items on (Lace, Leather, Statement Necklace, Faux Fur…) but instead of looking tacky or like a wannabe, she flawlessly manages to make everything look classy and sophisticated. To get a similar look, find a flattering lace dress and pair it with some white tights. Put on a statement necklace, slip your feet into boots, throw on a leather jacket and a faux fur vest and you’ll look just as stylish as our friend. This look is very Blair meets Serena- classy but still edgy, I love it. How genius is this outfit? I mean seriously, I would have never thought to belt the outside of my jacket like that, but there it is- and it’s perfect. I love that green color of her jacket, and the scarf deserves to be worshipped. To get a similar look, throw on any coat you can find (I included a grey hoodie to wear on the inside of this outfit since my jacket didn’t have a hood- plus I like the edgy look it gives it) and then belt it around your waist. 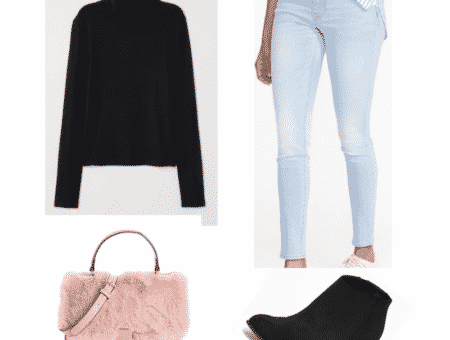 Pair that with a beige scarf, some dark wash skinnies (you can roll them up if you want, but you don’t have to- it’s really up to you), and then put your feet into some cute buckled boots. And there you have it, the perfect winter outfit. What’s the weather like where you are? Sunny or rainy (and is that good or bad?) Which look did you like best? Did you like the inspired looks? 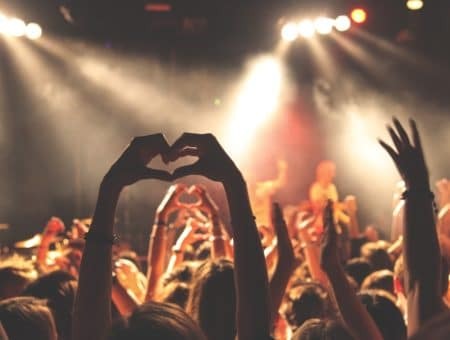 Whatever you think, let me know in the comments section, I love reading your thoughts!